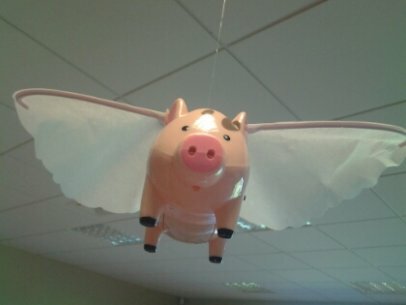 This cute pig can fly! It flaps its wings and keeps flying around and around in circles. It's very amusing to watch. 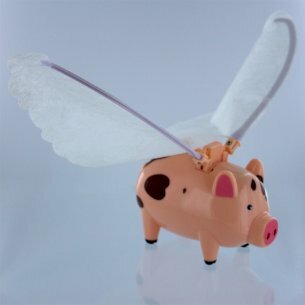 To install, simply screw the white mounted bracket on any ceiling surface and attach the winged piggy to it with the clear wire. It flies in a big 4-5 foot circular motion. A fun and nice looking gift for your child's room.